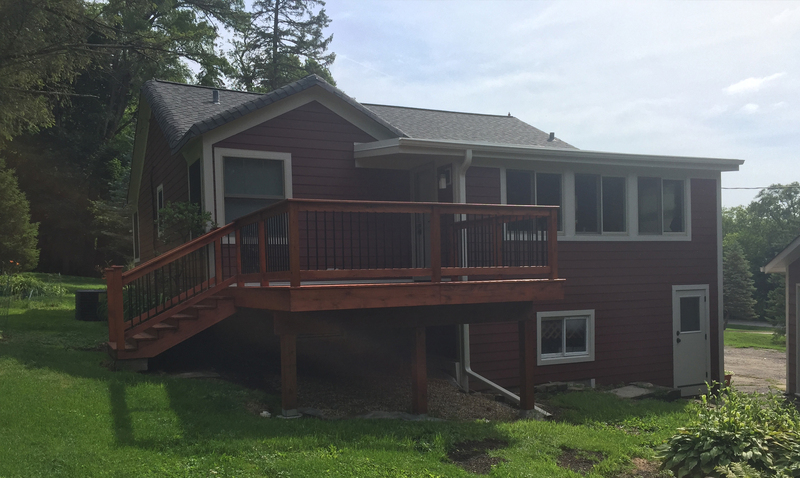 This Algonquin remodel included a new roof, entry and garage doors, new front stoop/sidewalk portico and rear deck replacement. 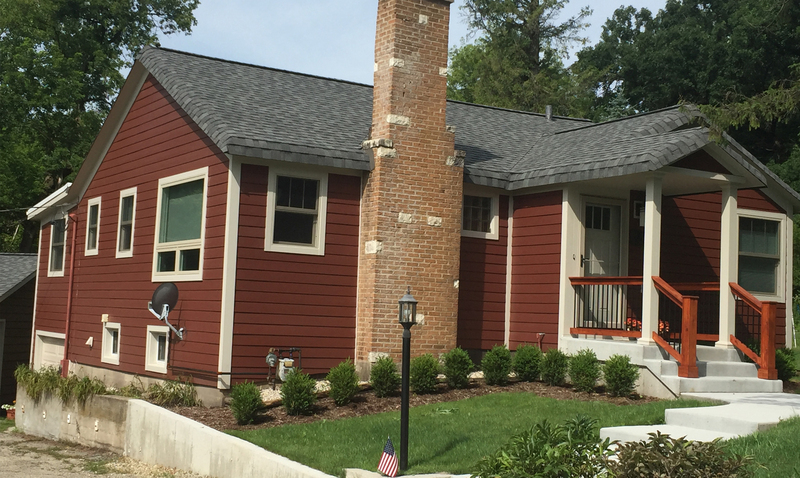 Also featured is James Hardie Plank siding in Countrylane Red and Cobblestone trim. 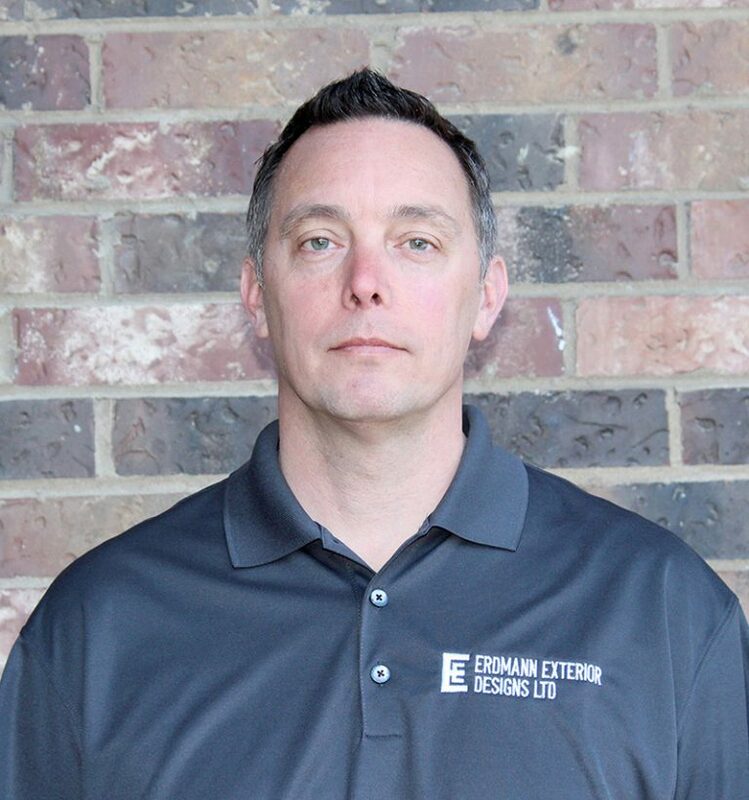 Dustin is an interior and exterior remodeling sales professional with over 17 years of experience. 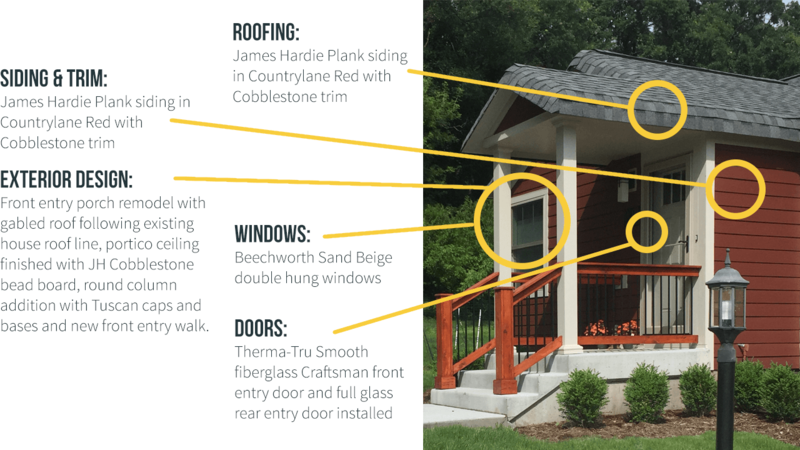 He is certified by the Building Performance Institute in building analysis and building envelope expertise. 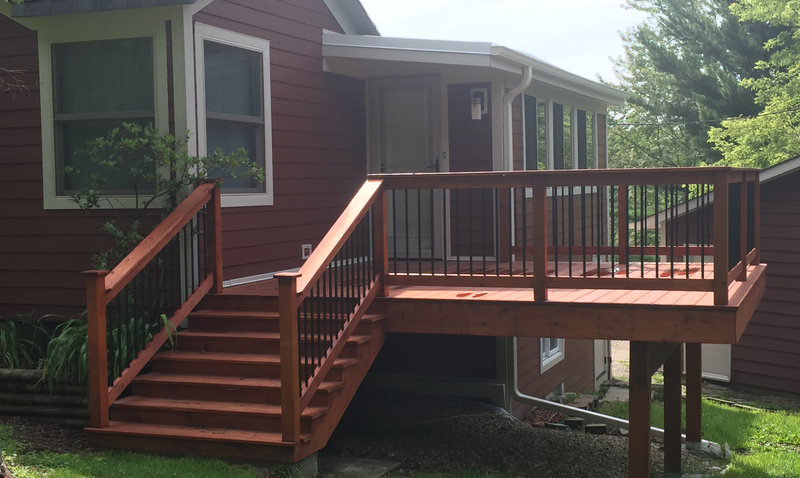 Dustin is a certified graduate remodeler and aging-in-place specialist through the Fox Valley Home Builder’s Association, where he has also served as president of the Remodeler’s Council.